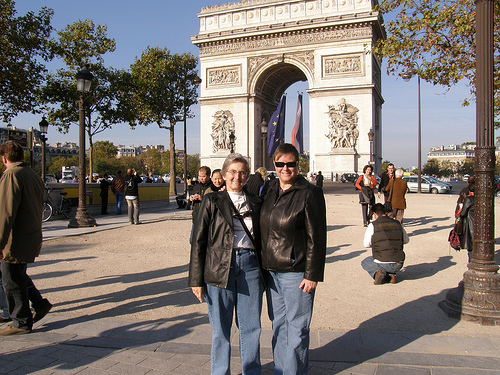 An previous post regaled you with the Experienced Travelers Paris Hotel Tips. (Read it here) Now we’ll take a whirlwind tour of a few Paris neighborhoods so you can settle on a handy address for your sojurn. The ETs recommend staying in a central location that's nearby major sights. Some travelers will trade a central location for cheaper digs on the outskirts. The ETs believe that there’s something to be said for proximity when you get the yen to walk along the Seine in the moonlight. So we recommend the city center, and there are perfect neighborhoods on both banks of the Seine with hotels in virtually all price ranges. Each area has it’s fans, and aspects that make it unique. Go get your map and a glass of wine and lets start with a few arrondissements on the rive droite, or right bank. 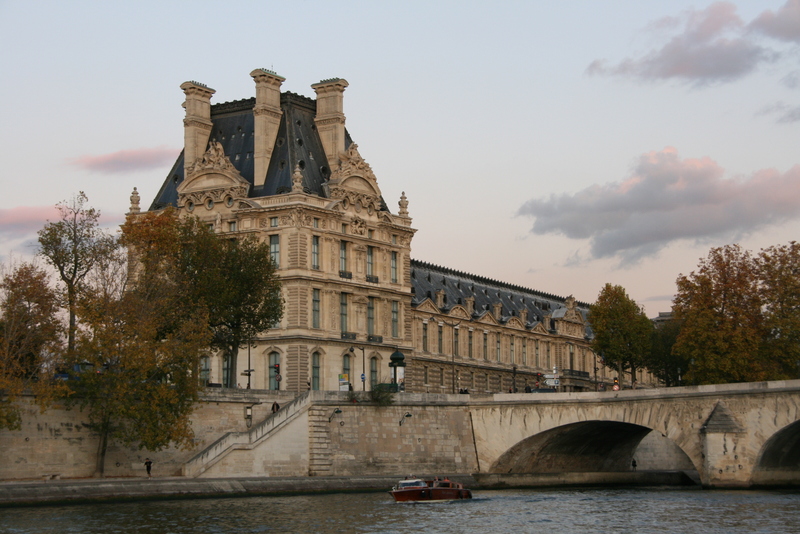 Staying near the Louvre is central and convenient if you have just a few days in Paris. Photo by Associate ET Felzer. The Louvre-Palais Royale area (1st arrondissement) is smack in the center of Paris, between the Place de la Concorde and Châtelet -Les Halles. If your inner Rembrandt yearns for the major museums, this could be the spot. 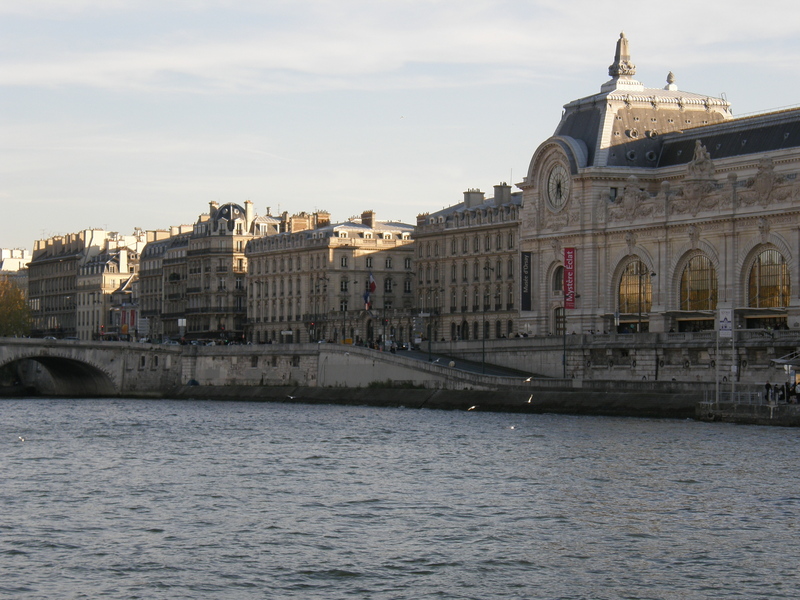 The Louvre and the Musée d’Orsay are across the Seine from each other. The Jeu de Paume and the Orangerie are at the edge of the Tuilleries. You’ll find busy restaurants – including the legendary Angelina’s – and tourist shops selling sno-globe Eiffel Towers under the arcades on the rue de Rivoli. Nearby restaurants tend to be more expensive because of the proximity to the museums. 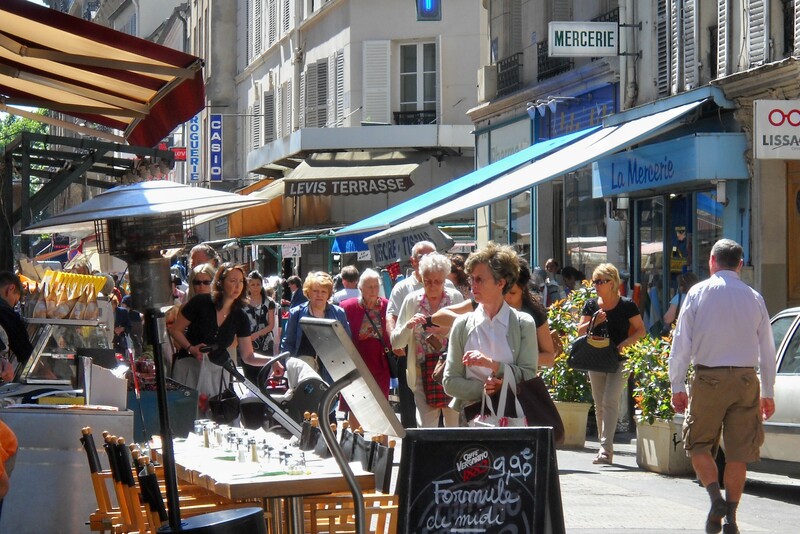 If you’re hungry venture north to the trendy rue Montorgueil street market where you can get a cheaper meal, and browse delicious kitchen stores like E. Dehillerin on the edge of Les Halles. It’s worth noting that the Louvre-Palais Royale area lacks the “lived-in” feeling of other quartiers, if that’s important to you. You’re also dependent on Metro line 1, which serves many major sights, but as a result it’s jam-packed most of the day. And avoid the Châtelet metro correspondence – it’s enormous and confusing. Consider staying in this area if you have a limited time in Paris and you want to be central to most major sights. What’s nearby: Place de la Concorde, Madeleine, Tuilleries Gardens, Musée d’Orsay, l’Opera, grandes magasins (Printemps and Galeries Lafayette), Place Vendome, Ile de la Cité and Notre Dame, Les Halles, Châtelet. Ile St-Louis. If you stay here, don't worry. They all go home at night and leave you alone with beautiful 17th century buildings. The upscale Ile St.-Louis is a coveted address for visitor and resident alike. This lovely island in the Seine is awash with tourists during the day, but quiet and village-like at night. Alongside the aristocratic townhouses, there are a few hotels and some excellent restaurants. The lower Marais, the edge of the Latin Quarter and it’s sister island, the Ile de la Cité are within easy reach. It is necessary to cross a bridge to reach a metro stop, but there are several in the area. This is a good choice if you want to be centrally located in an area that’s pleasant and peaceful in the evening. We don’t recommend the Ile de la Cité next door. It’s not convenient as a base. 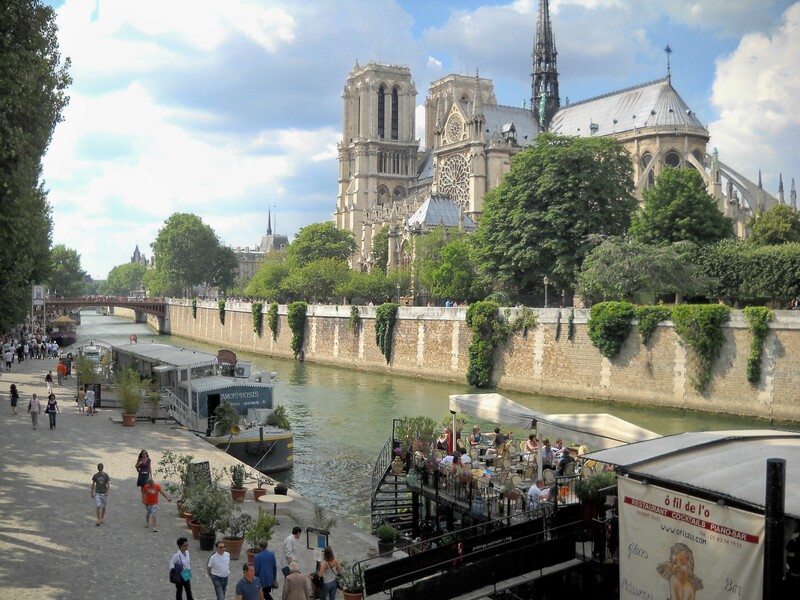 What’s nearby: Villages St.-Paul, the lower Marais, Ile de la Cité and Notre Dame, Sainte-Chapelle, the Latin Quarter, Berthillion ice cream. 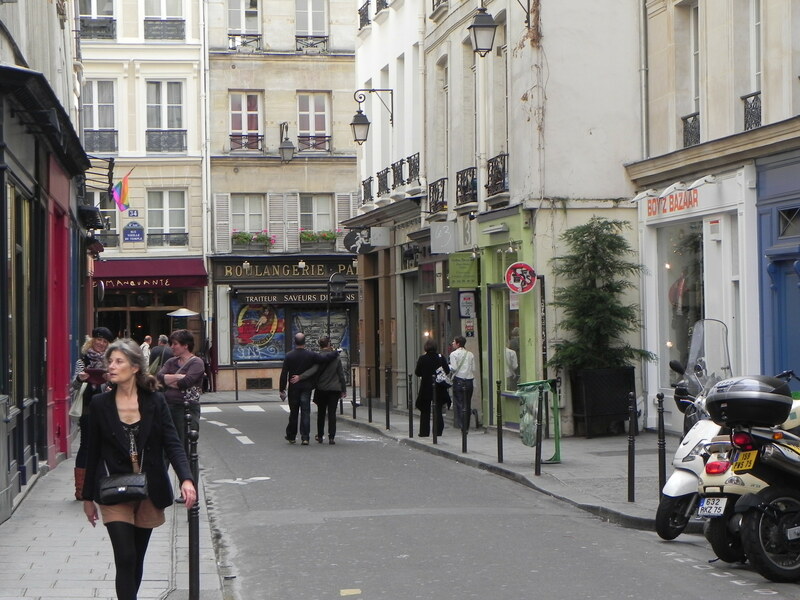 The Marais (3-4th arrondissements) runs from the Seine to Temple, and Beaubourg to Bastille. This quartier is fresh from a gentrification which started in the 1980s, and attracted small hotels, chi-chi boutiques, artisan studios and Gay residents (suffice it to say “le clubbing” must be good!) The centuries-old streets off the rue des Archives aren’t dormant anymore, with lots of walking-shopping on the narrow sidewalks. But you quickly get a sense of old Paris in the side streets and courtyards. The jewel in the Marais crown is the exquisite Place des Vosges featuring Henry IVs arcades. Stay in the Marais and it could be your neighborhood garden. The vast, chaotic Champs-Elysees (8th arrondissement) is riddled with hotels in all price ranges, but the noise and traffic make the ETs grateful to hurry back to the residential 7th. Perhaps you’re made of stronger stuff and will thrive on the energy. 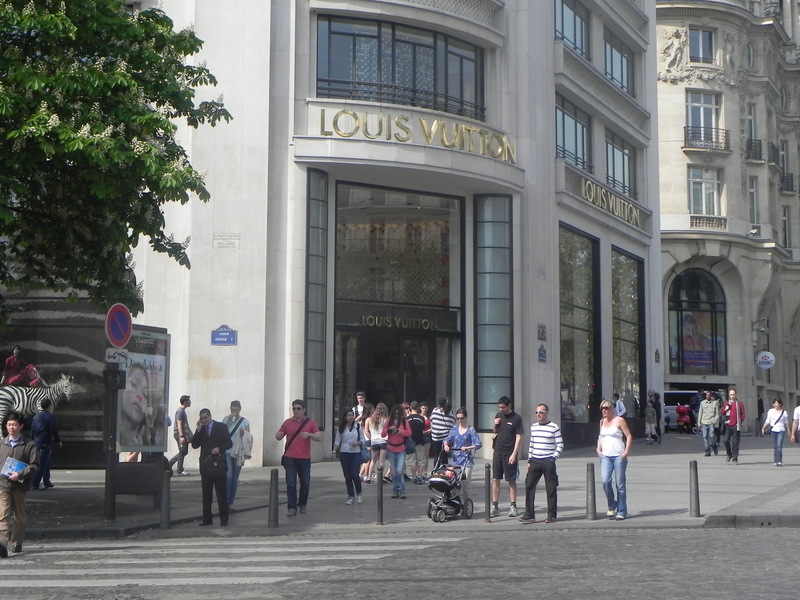 Many people choose the Champs-Elysees as a home base and the quantity of major hotels attests to that. It’s a shopping haven. Global brand names line the wide avenue. The grands magasins are nearby. High-end retailers fill the Golden Triangle, and the elegant stores of the Place de la Madeleine and the rue Royale are just off the Place de la Concorde. If you are superhuman and have a shred of energy left after shopping, nightclubs like the Lido abound. There are five metro stops on the Champs-Elysees (Line 1)with convenient correspondances to other lines. Be warned that a glass of wine or a meal will cost much more here. We think the visitors who stay here do so for access to shopping or major hotel brands. What’s nearby: High-end shopping; The Arc de Triomphe, Grande and Petit Palais, stores in the rue Faubourg St.-Honoré, Golden Triangle and Place de la Madeleine. We need another Paris trip to explore the 9th, 10th and 11th arrondissements. These neighborhoods are gaining in popularity with young singles, particularly the 10th along the Canal St-Martin. I spent an afternoon in the 9th wandering from the Place St-Georges to Place Pigalle (in search of Simenon’s Maigret, of course). I thought it was an unremarkable area and feel that I must have missed something. Do please tell me what it was. I haven’t visited the 10th or 11th, so I don’t recommend for or against them as a base for visitors. But I have read that new up-and-coming super-chef restaurants are opening there. I hope we’ll get informative comments from fans of these areas who will enlighten us. What’s nearby: 9th – Opera Garnier, grandes magasins, Gare St-Lazare. 10th – Place de la République , Gares du Nord and L’Est. 11th – Place de la Bastille, eastern edge of the Marais, Père Lachaise cemetery. Marketing in the rue de Levis near the Parc Monceau. May we make a plug for a residential area on the south-eastern edge of the 17th arrondissement near the beautiful Parc Monceau? 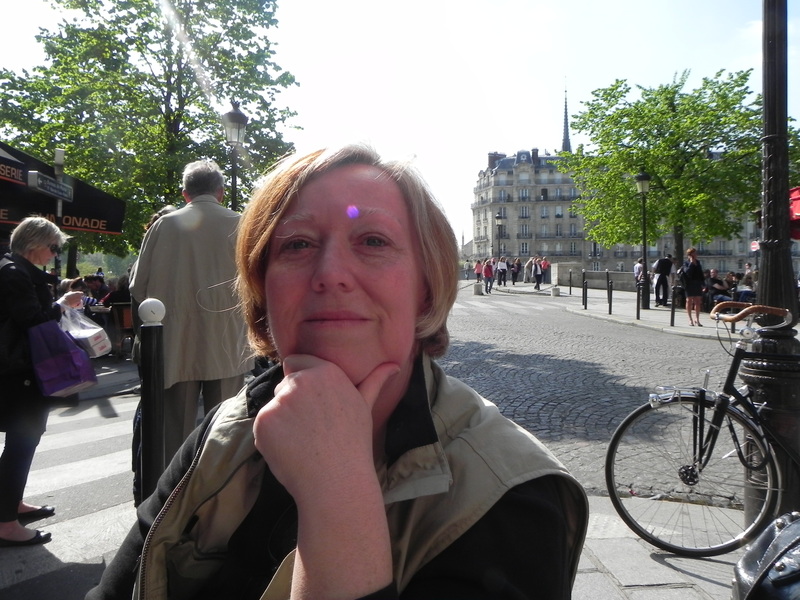 In the bloom of my youth, I rented a room overlooking the market in the rue de Lévis. I often return for a sentimental visit, hoping to catch a glimpse of my eccentric Algerian landlady. The market here is authentic, with fewer fashion boutiques and more food and services stores. If you want a true residential experience in Paris, I can recommend this neighborhood. Do not stay further north or east than Ave. Villiers and Ave. Wagram. Stick close by the Parc Monceau. Convenient metro stops are found along the Ave. de Villiers. What’s nearby: Arc de Triomphe and the Champs-Elysees, Parc Monceau, Proust’s rooms in the Blvd. Haussmann. Picasso, Utrillo, Modigliani - you! 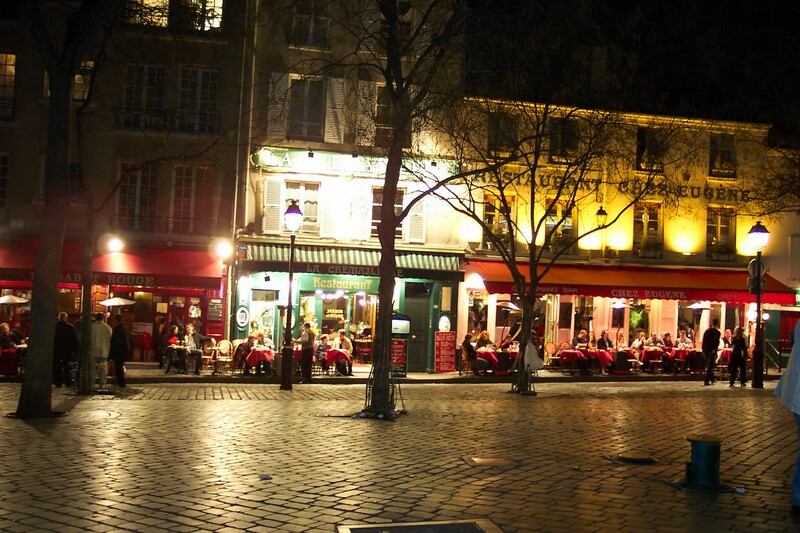 This alluring view of the Place du Tertre might tempt you to book a room here. And finally on our right bank tour, we come to that storied butte in the 18th arrondissement. Lovers of Montmartre are a feisty bunch, and claim that the charm of the place outweighs the long breathless ascent. The ETs can’t imagine schlepping back and forth by bus or metro to get to major sights. And there’s that hill to climb at the end of the day. Again. But if you have a 19th century, absinthe-ridden artistic-genius fantasy, you’ll find very affordable hotels and restaurants in Montmartre. 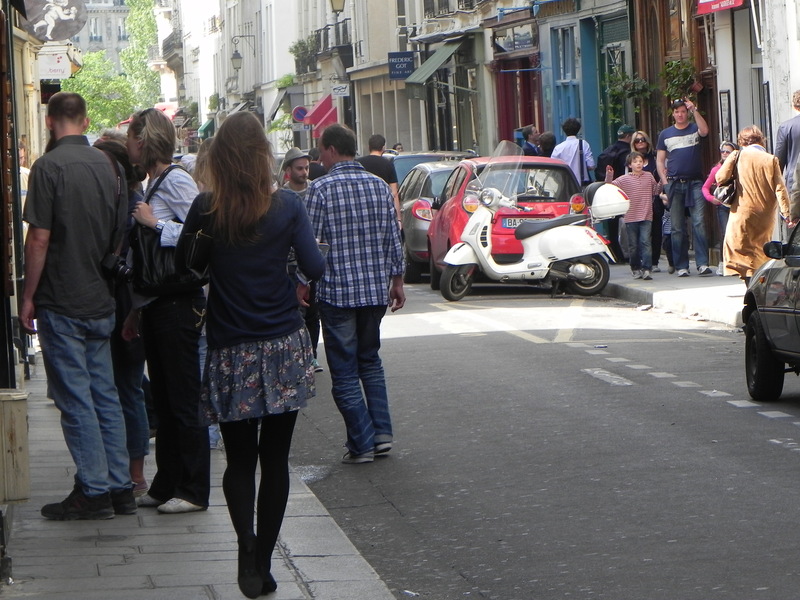 Be warned that the area between Sacré-Cœur and the Place du Tertre is sheer tourist madness during the day, especially on sunny weekends. It gets better at night. Dear Readership, this is only the right bank! Imagine what we’ll find when we explore the 5th and 6th arrondissements on the left bank in a future post! Paris experts – use the comment link below and enlighten us about your favourite right bank haunt!